And while the multi-million dollar commercial spots get a ton of attention, there are social media savvy brands killing it on sites like Facebook, Twitter and Instagram during the game: Building buzz, interacting with fans and entertaining the masses who are there for the show. On the scoreboard, the Seattle Seahawks won the big game. But which companies were the big winners in the Brand Bowl? Let’s look at some social media activity via Twitter – the network we think most authentically integrates into TV and live events. This ad about the 1980s calling and wanting their stores back was a huge success. 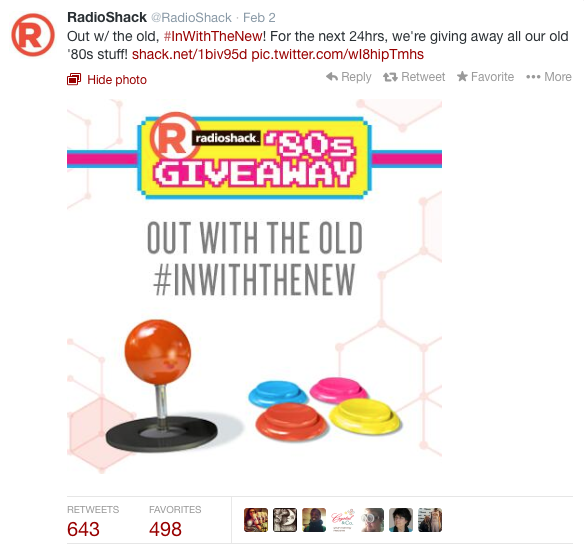 The ad was a lesson in not taking yourself too seriously and nostalgia is a great marketing tool – there was a 80s gear giveaway on Twitter — because it gets people talking! And the ad worked: According to Forbes.com, the company’s stock surged 7% on Monday. This brand won the “Twitter Bowl,” according to the Wall Street Journal, by garnering 1.9 million posts – making it the most tweeted brand of the evening. 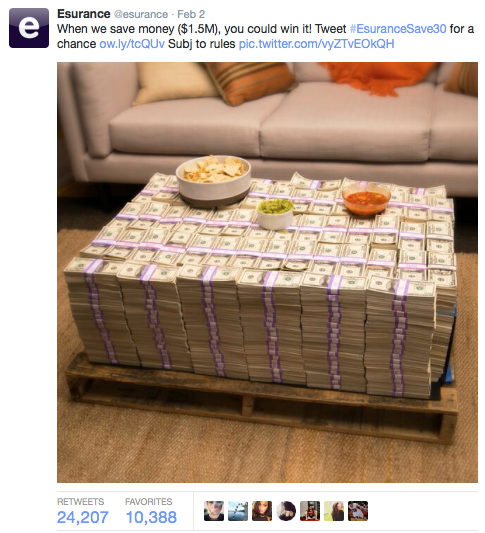 With its ad slot immediately following the game, Esurance built buzz with the promise of a potential $1.5 million payout to anyone tweeting the hash tag #EsuranceSave30. The lesson here? Promos work! The takeaway? Trolls and hackers will capitalize and lots of spam accounts were rapidly set up to confuse and stymie the promo. 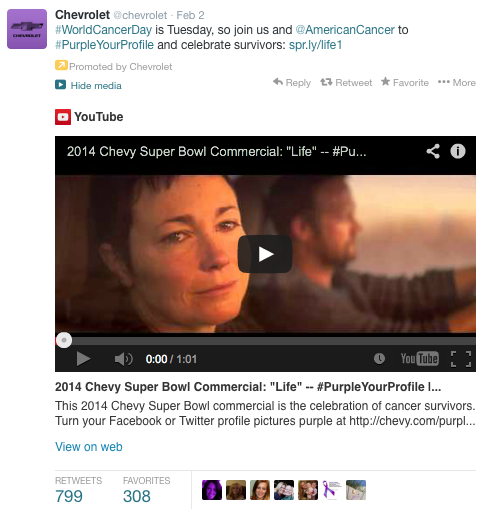 This emotional and beautiful ad by Chevrolet was a hit, with purple profiles dotting social media sites this week. The ad was to raise awareness about World Cancer Day on Feb. 4 and it did, without being overly saccharine, self-serving or preachy. The lesson here? Big brands like Chevy can raise awareness of their products (a Chevy truck is featured subtly in the ad) and do some good at the same time – in this case, raising funds for the American Cancer Society. Other lessons from the Brand Bowl? 1. Social media marketing doesn’t always have to be about your products and services. Sometimes, selling or marketing an idea (like Bank of America offering the download of a U2 song for free, with $1 per download donated to charity) can get a company’s name out there – and associated with something positive – better than a blatant ad. 2. People respond to positive acts and promotions! If a company clearly looks like it is having fun, like Radio Shack, people can sniff that out. Ads or campaigns that seem forced generally fall flat – so keep your sense of humor! 3. And lastly, hash tags are crucial. This is one penalty by the Chevrolet spot: It didn’t have an intuitive hash tag – which could confuse those looking to “Purple Your Profile.” The Esurance hash tag was great and displayed prominently in the ad – one reason it started trending! Also, it’s important to note that in this instant gratification and social media culture, people — experts and lay people – share feedback immediately. A second after a company’s ad airs, there are thousands of Tweets. For big companies, this feedback is golden and even for small companies, there’s room to note: Listen to what your customers and potential clients are saying. Will a brand winner emerge like last year’s epic blackout tweet from Oreo? So far, nothing from the Super Bowl has stood out quite so prominently yet, but lessons are still being learned from businesses big and small. 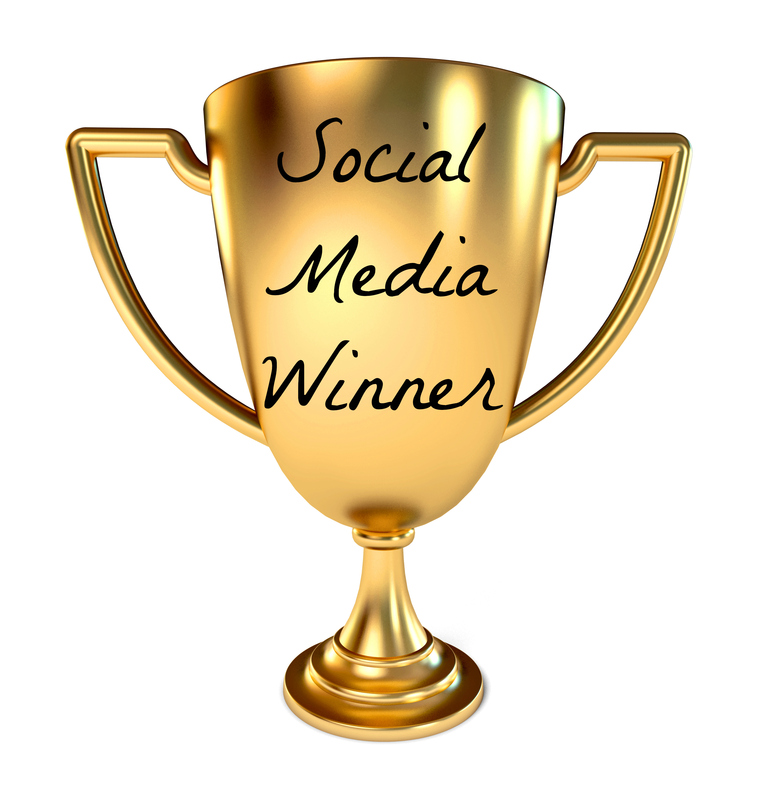 What social media lessons and highlights did you take away from the Super Bowl? What questions do you have? We’d love to hear what sparked your marketing curiosity!